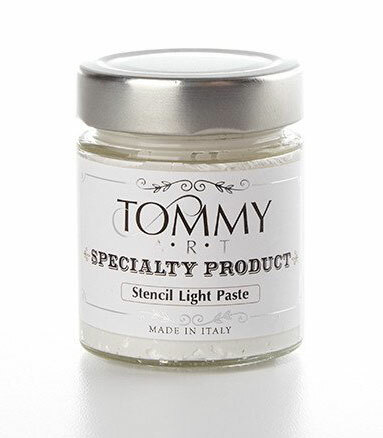 Tommy Stencil Light Paste is a super light and soft, creamy paste, perfect for use with stencils. 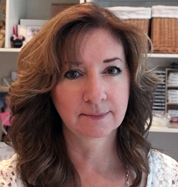 If applied thickly, it doesn’t crack, and it can also be tinted with Tommy Art Colors. 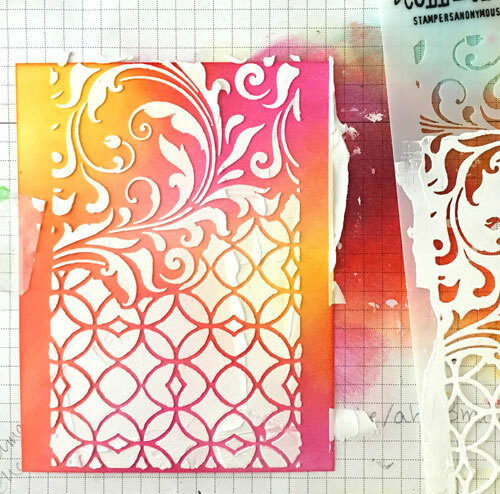 I first used a sponge blending tool to apply Spiced Marmalade, Abandoned Coral and Picked Raspberry Distress inks onto white card stock. I then used a pallette knife to apply the paste over my stencil, moving the palette knife from top to bottom. Once applied, I carefully lifted the stencil so I wouldn’t disturb the paste, then I let it dry. After trimming the piece to the desired size, I added a Thanks Script cut from gold card stock and white embossed “a million” (from Simon Says Stamp “Thanks” set). Thanks (a million) for visiting today! Stamps: Simon Says Stamp Thanks Dies: Taylored Expressions Thanks Script Ink: MFT Sweet Tooth, Ranger Spiced Marmalade, Abandoned Coral and Picked Raspberry Distress Paper: Taylored Expressions Sugar Cube and Oreo, X-Press IT Blending Card, gold Other: Tim Holtz stencil, Tommy Mixed Media Stencil Light Paste, pallette knife, white embossing powder/heat tool, blending tool. This entry was posted in Copic, My Designs, Simon Says Stamp, Taylored Expressions. Bookmark the permalink. This is a beautiful card !! 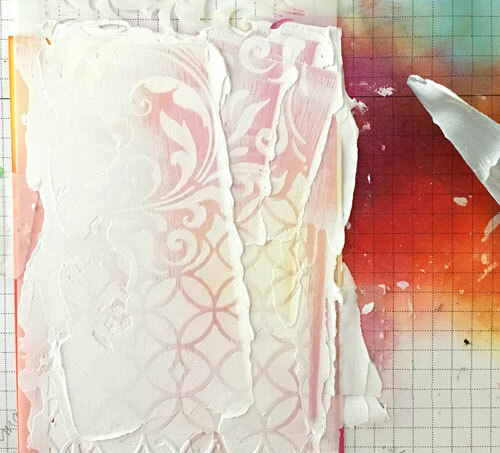 I love the embossing pastes so much. Wow, what a gorgeous card. I love how the pastes absorb the colours.